You don't get the opportunity every day to meet your favorite writer. 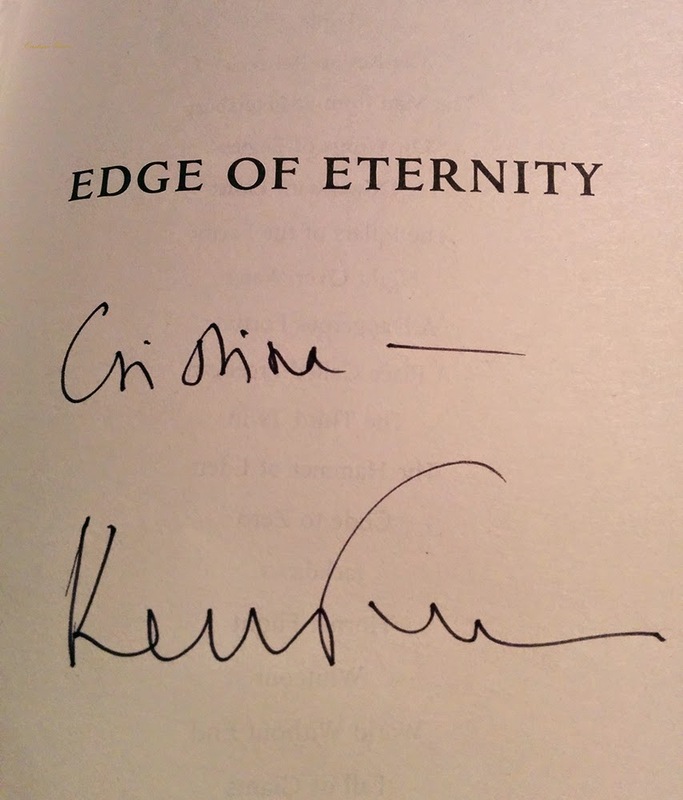 In many cases the author of your most cherished book has either passed away or lives in a land far far away. 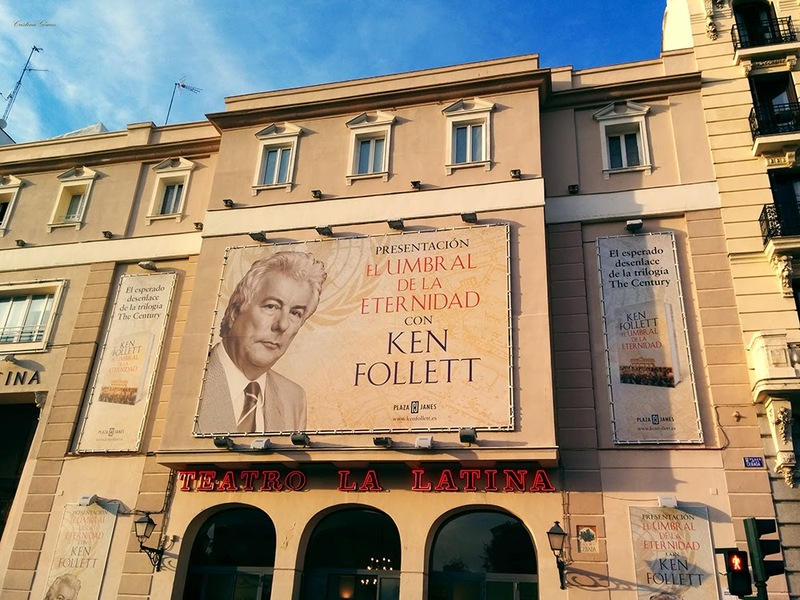 So when I heard that Ken Follett was coming to Madrid, I knew I had to be there. About ten years ago I read The Pillars of The Earth. It became a milestone in my life, or at least in my "reading life". I couldn't put it down. It was an absolutely amazing reading experience. I fell in love with some characters, I despised others. I suffered when they did, I rejoiced in their achievements. Few books have aroused such strong feelings in me. The book has all those elements that make me love reading so much. 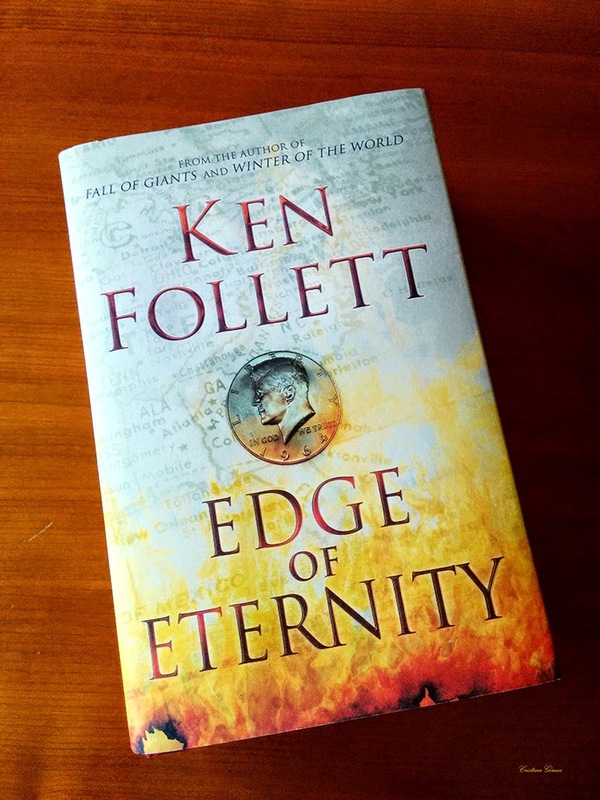 From then on historical novels became my favorite genre and Ken Follett became my most beloved author. Can you believe his Spanish publisher at the time refused to publish the book? Nowadays it's one of the most popular books in Spain. When I started the blog, I envisaged writing book reviews since reading is one of my favorite pastimes, but I never got around to it. So let this be the first post of a new section called "Read". 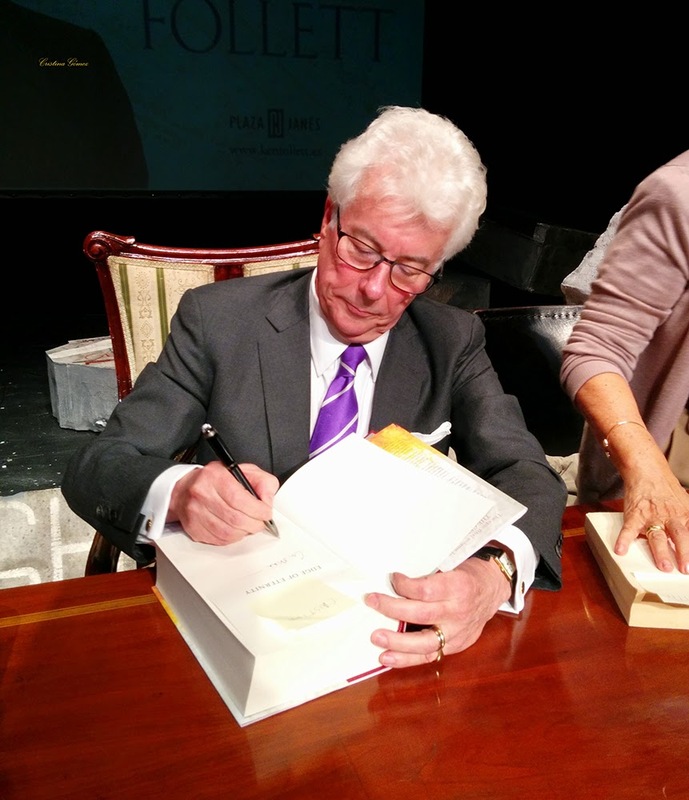 With a mise en scène worthy of a rock star, Ken Follett launched his latest book Edge of Eternity last night in Madrid. It's the third installment of The Century trilogy which includes Fall of Giants and Winter of the World. 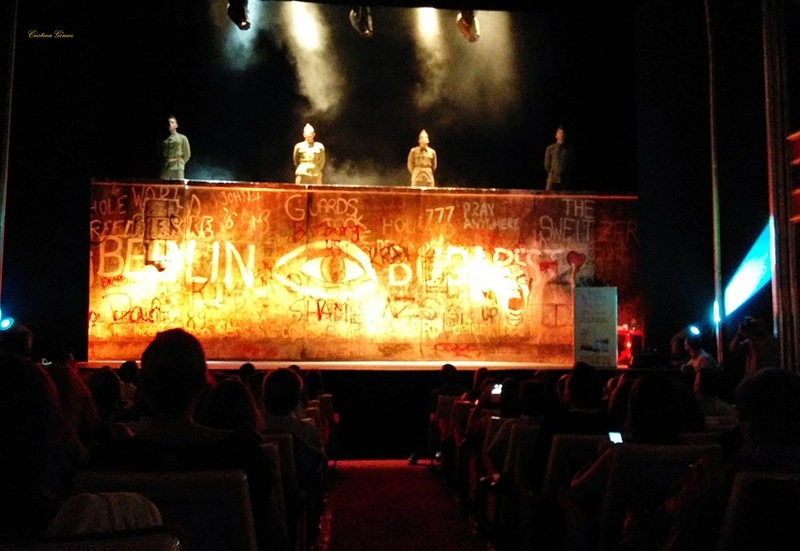 When the curtains open, The Berlin Wall is on stage. Mr. Follett enters the theater marching to the rhythm of Pink Floyd's Another Brick in The Wall (very appropriate song). 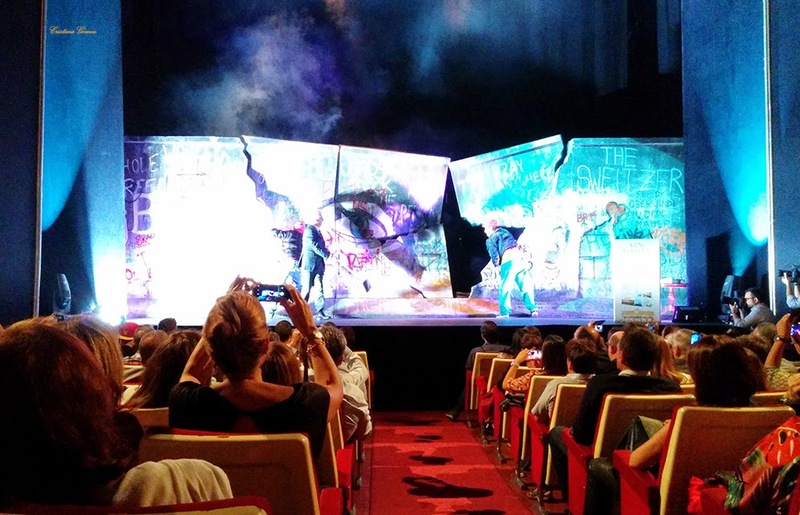 When reaching the stage, he is handed a hammer with which he tears down the wall. The act is followed by an explanation of what moved him to write The Century trilogy. He tells us that history books are boring but the subject becomes more appealing if you read about how ordinary people are affected by historic events. (I couldn't agree more). Then there was a Q&A and after Mr. Follett read an extract of the book. Finally, book signing started. The queue went out of the theater and around the building! Mr. Follett was charming, elegant, fascinating and delightful. A true gentleman. It was a great pleasure to meet him. If you could meet a writer (either dead or alive) who would you choose? Let me know on the comments below. Beautiful! Hope you'll stop by my blog & follow along! That's too hard to choose! I wish I had been there! I love Follet's trilogy! Can't wait to be home to read the last one, it's a page-turner!